Malky Mackay Watford signed 5.75x3.75 inch photo. Malky Mackay, Watford, signed 5.75x3.75 inch photo. 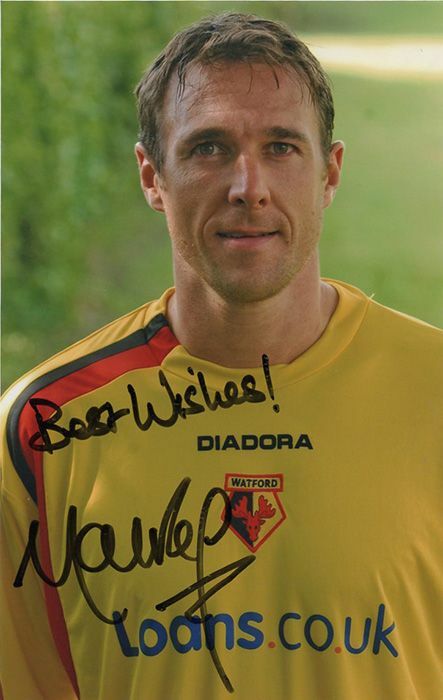 5.75x3.75 inch colour photo personally hand-signed in black sharpie pen by Malky Mackay, Watford FC. McKay also played for Queens Park, Glasgow Celtic and Norwich City. He was capped 5 times for Scotland.